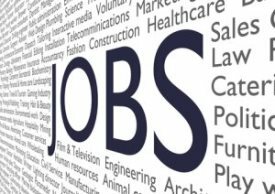 In its recently released Monster Workforce Talent Survey, Monster.com has reported that 79 percent of job seekers feel confident in finding employment within the next 12 months, while 77 percent also feel that finding a job is more challenging than one year ago. Survey findings also indicate that job seekers continue to feel that employers have an upper hand in the hiring process as only 20 percent believe that employers are willing to offer higher compensation compared to 12 months ago. However, 42 percent of survey respondents feel that employers are willing to provide the training needed to support candidates upon hire. Results have also revealed a variety of job-satisfaction levels depending on profession. Topping the list of most satisfied employees are engineers and finance professionals while the least satisfied workers were found in customer service, manufacturing, skilled trades, and education. Confidence in finding a job was found to be highest for information technology, sales, management, and engineering occupations while those seeking administrative, education, and customer service occupations were the least confident in their ability to find a job.